If you need Riverview windshield replacement, look no further than the Auto Glass Warehouse. Our friendly office staff and qualified technicians are dedicated to providing excellence in customer service and satisfaction. We are ready to receive your phone call and quickly set an appointment with a insurance claim or self pay customers to get your vehicle’s windshield back in safe, working condition. The Auto Glass Warehouse staff and technicians wants to make your Riverview windshield replacement as quick and easy as possible. One of the many ways we accomplish this is by offering complimentary mobile service to all of our customers. This means that our technicians will come to you whether at your home, office or play. Each of certified technicians will arrive equipped with all the required tools and supplies needed to provide you with a quality auto glass replacement Riverview. Our mobile service is available at no extra cost to you or your insurance company. As with all windshields, the glass we install is laminated. Laminated glass is designed specifically to break into numerous pieces, but not come apart as to keep you and your passenger’s safe in an accident. It also helps in proper deployment of air bags. 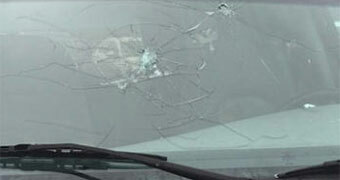 All other types of auto glass are made from tempered glass. On average, a windshield replacement costs $225. However, there are many factors that can change this price, such as specialty sensor devices on your windshield. We are happy to provide you with a free quote either by visiting our quote page or by calling our office staff. If you carry comprehensive insurance, we will work with you to set up an insurance claim. With comprehensive insurance, your windshield can be replaced at no cost to you! If you will be using your insurance to cover your auto glass replacement, please let us know so we can get your insurance claim started. To place your insurance claim, one of our office staff will need to make a fast 3 way conference call between you, our staff and your insurance agent. This is a very quick and easy process. After this phone call, we will handle the rest! 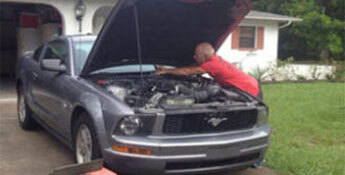 For a free Riverview windshield replacement estimate call 813-341-5549 today.